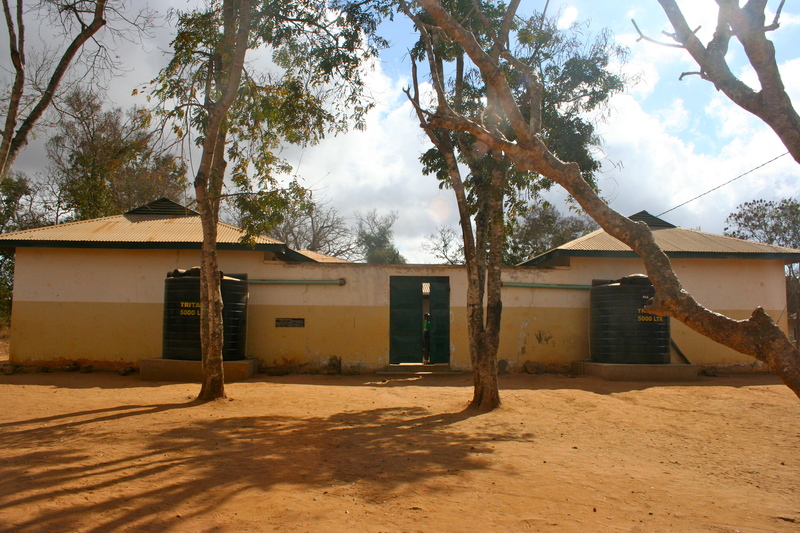 The entrance to our school with the “playground” in front. Mbuli, the hospital director’s son and possible future author. 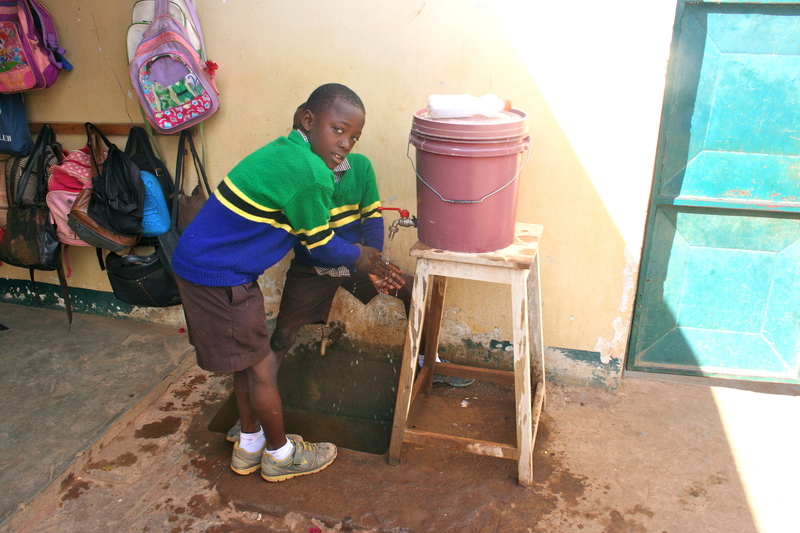 I think it’s about time I wrote about our school, Bishop Chitemo Anglican Pre-School and Primary School. The British started a hospital (such as it is) and nursing school here in the late 1800’s. In 2011, the director of the hospital decided he wanted to keep his younger 3 children at home rather than send them away to boarding school as they had to do with their oldest. 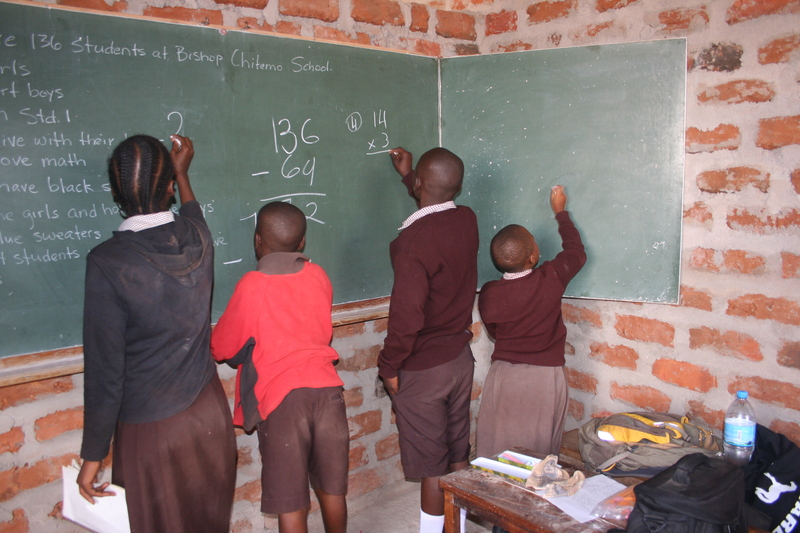 So…an American doctor took on the project, hired Liz and started a school with 6 children. We now are bursting at the seams with 136 students from Pre-school through Standard 4. 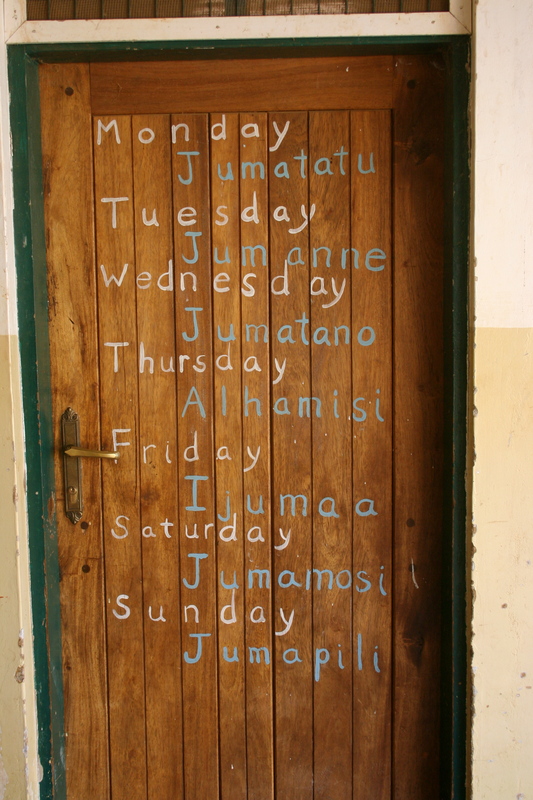 We will add Standard 5 in January and so on until we are all the way up to Standard 7, the last year of primary school in Tanzania. The foundation for 3 rooms at the new site, are ready to be poured. 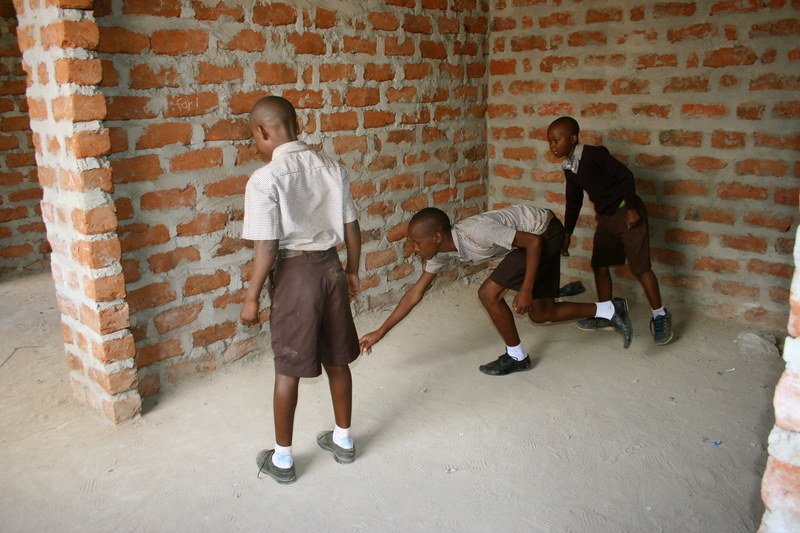 We are fighting the clock to erect the walls by January or risk being shut down by the Tanzanian Ministry of Education. Liz went to a meeting on Thursday to ask for an extension, but we won’t hear the end result until she returns from Dar Es Salaam tomorrow. It is a highly stressful time right now. We cannot get registered without those walls, and without registration our students can’t take their national exams in Standard 4 next year. Their private school education will end and they will go to the government schools. I’ve met many children from those schools. Their English is essentially nonfunctional and they are severely lacking in math skills. 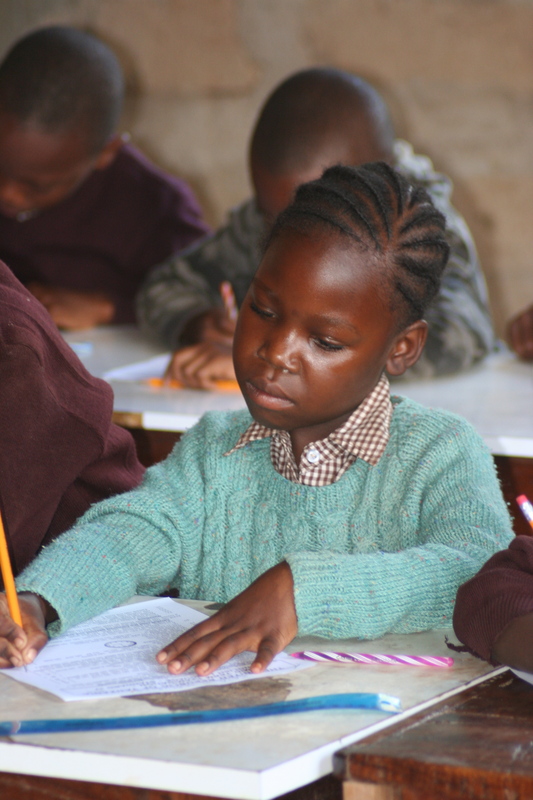 Since we teach all but Kiswahili in English, our students are conversational in English by Standard 1 and fluent by Standard 4. English is the language of commerce. 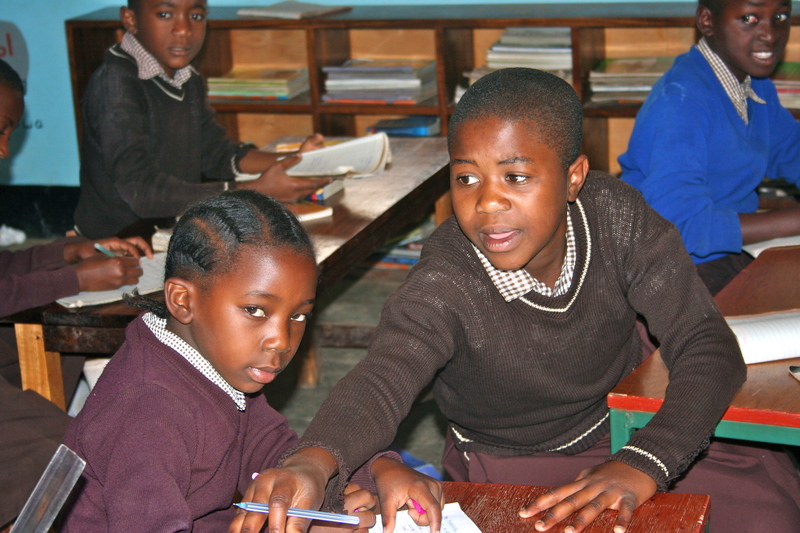 Without it these kids will never rise above their poverty status. I look into the faces of my students every day and can’t bear the thought. the day. Usually from 11 pm to 7:30 am (teachers have a generator, but it cost too much to run it 24/7). Twenty-seven dollars here is an average person’s monthly salary – and they’re feeding their families on that. 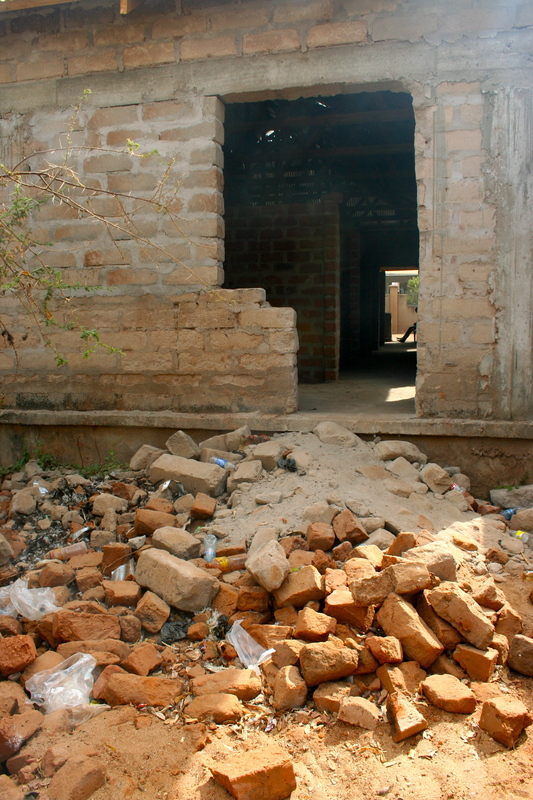 Mostly our students need food, to be fluent in English and proficient in math, so they can leave this village, get some form of higher education, and return to change it. Without these 3 things, their life will be short and difficult. It’s even worse for the girls (if you get my drift). In America kids have a safety net. One way or another, they can sleep their way through school, but most will literally survive, be relatively healthy and have a place to live. 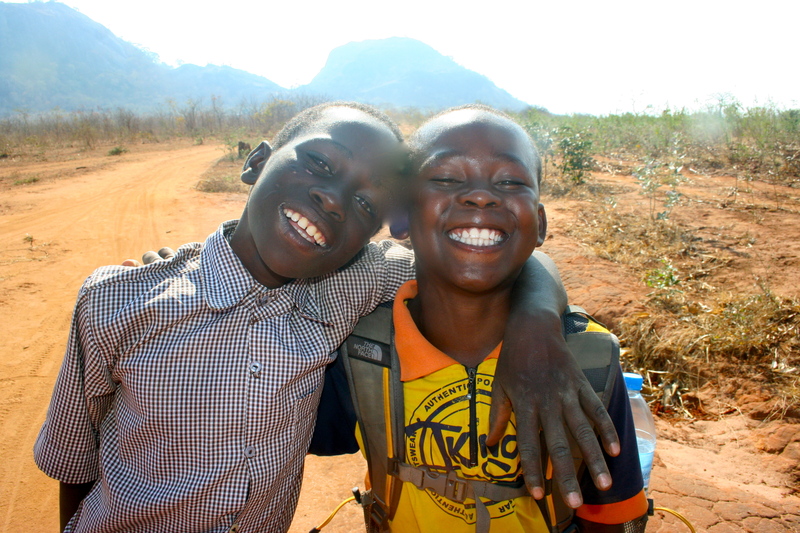 The children of Tanzania have no net what-so-ever. None. There are no welfare programs, no easy access to quality medical care, no medical insurance, no foster care system, no low-income housing, homeless shelters or soup kitchens – nothing. 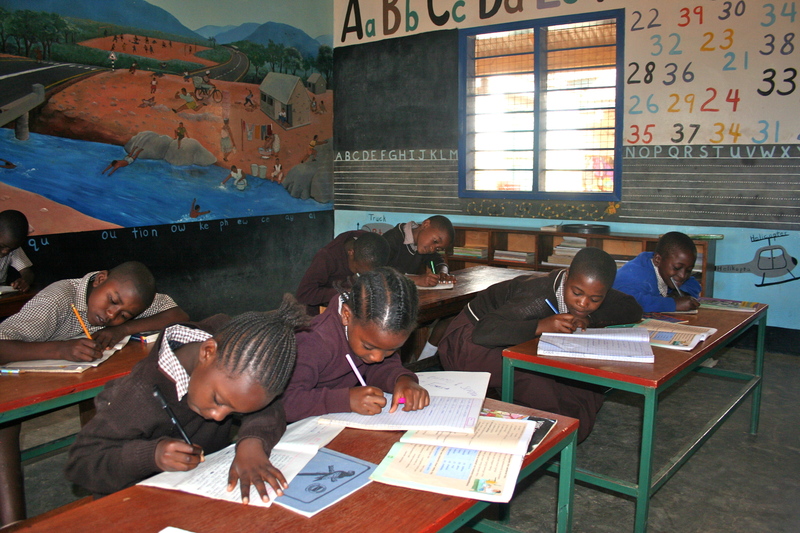 Lack of a basic education will perpetuate the endless cycle of poverty these children were born into. Nothing will ever change. I know this sounds harsh, but life here IS harsh. 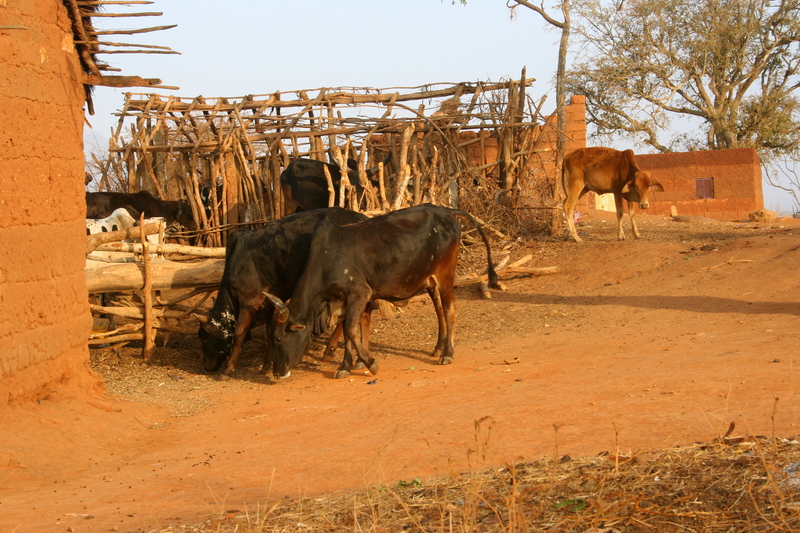 Tanzania is not actively at war, so it is not the poorest country in the world – but you can see it from here. 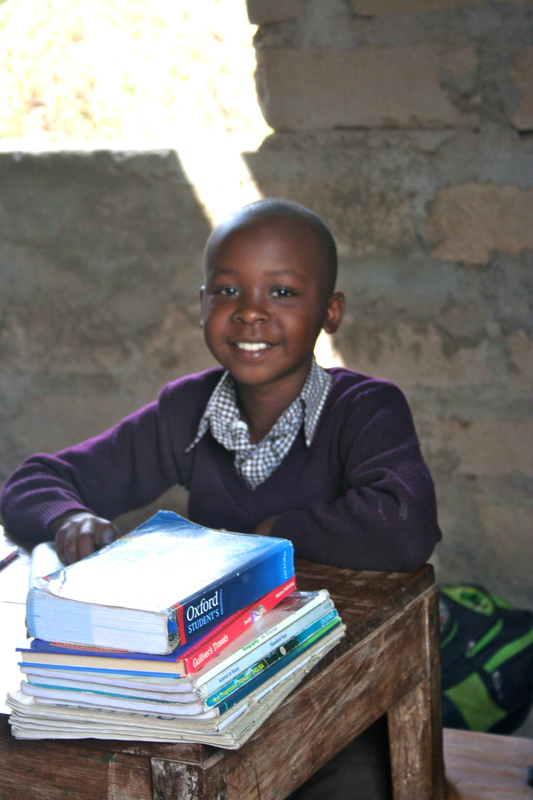 Tuition comes from over seas sponsors and gets them their books, 2 meals a day (3 for boarders), pencils and erasers and a safe school environment where they don’t get beaten (that’s legal here and it can be extremely brutal). 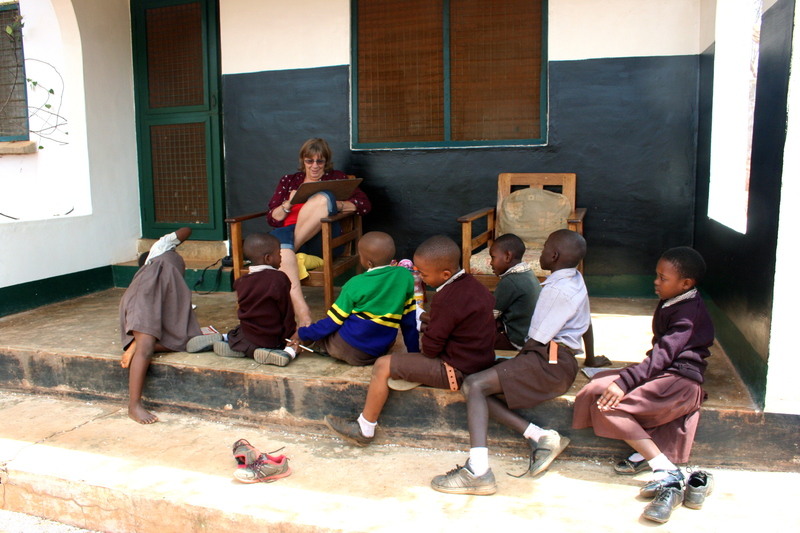 Teacher Liz with her remedial class on our back porch. Best commute ever! 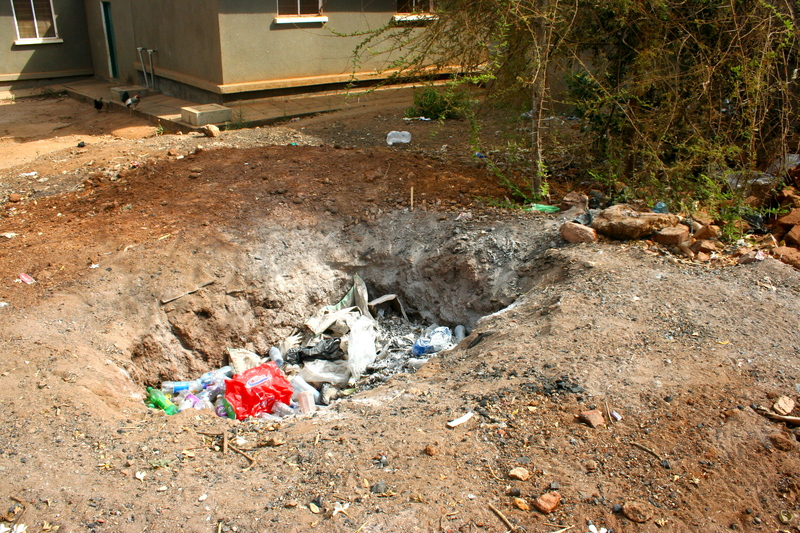 This burn pile is right under our window in Beirut. We’ve had to evacuate a time or two just to be able to breathe. This is also a common sight. Unfortunately this is right next door to Beirut. Doing word problems on the board in Beirut. my teaching style! My Std. 3 science class is also fun, but we have to be much quieter since there is only a partial wall separating us from Std. 1. But by far, it’s the kids themselves that make my day. I have little to no discipline problems so I actually get to teach during class time. Everyday there is progress. It warms my heart to see faces light up with excitement and pride when they grasp a concept, learn a new vocabulary word, read well, or understand a difficult bit grammar. Yohana, Samweli and I took an 8 hour hike to find the baboons. As it turned out, these were the only little monkeys I saw. It’s amazing what you can learn from 10-year old boys. It was a good day. When we got back to the village we enjoyed Coca baridi (cold Coke) to celebrated the fact that no one (that would be me) broke anything or fell off the mountain during the free rock climbing portion of the day (NOT recommended). But my relationship with the kids doesn’t begin and end in the classroom. This is a village, so they are everywhere. I see them when I go to the shops for food and they help me. They carry my bags when I go to market. They come to collect me when it’s time for church choir practice. 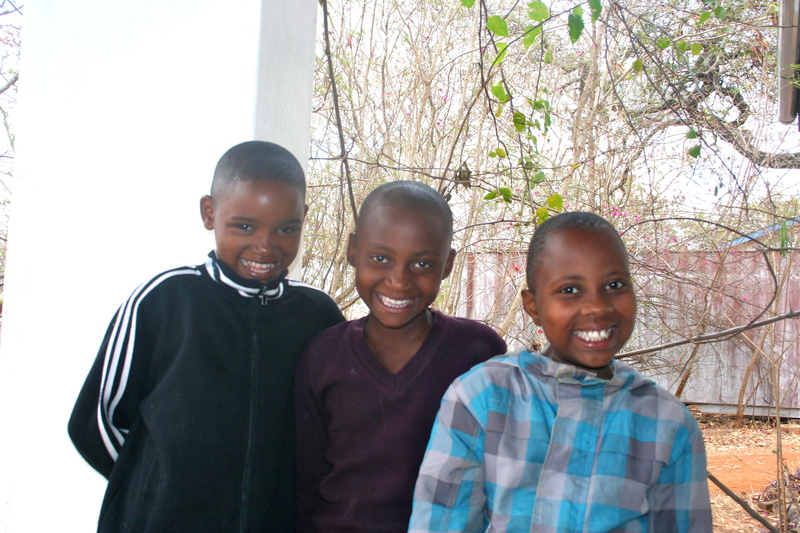 They are helping me learn Kiswahili and teaching me the customs of their tribe (Kaguru). Mbuli and Dani are especially interested in introducing me to the unique culinary offerings of Berega. So, yes, in a few weeks we will go and catch a bush rat, clean it, roast it and eat it. Why the hell not? The hanging goat didn’t kill me. However, I require they take the first bite. They assure me it tastes great. I’ll keep you posted on that one. I also have plans to walk to Ifunde with Emanuel to deliver the pictures I took at the Maasai wedding. Mbuli will walk with us and perhaps Samweli as well. We read, we talk, we laugh and exchange cultural information. Some of the girls are teaching me how to dance African style (yes, it’s hilarious. No, there’s no video). Frankline hard at work so she can pass her Std. 4 exam. One step closer to her dream of being a pilot. America and become doctors, Frankline wants to be a pilot, Farida and Chris want to be teachers, Evander and Suzy nurses, Dani an accountant. I’m not sure what Mbuli wants to do, but the boy should definitely consider becoming an author. Knowing these kids and being a part of helping them realize their dreams is an honor. It makes the thought of the school possibly having to close an extremely painful one. I do get extremely passionate about this village, especially now that I’ve seen it with my own eyes and hugged these children with my own arms. 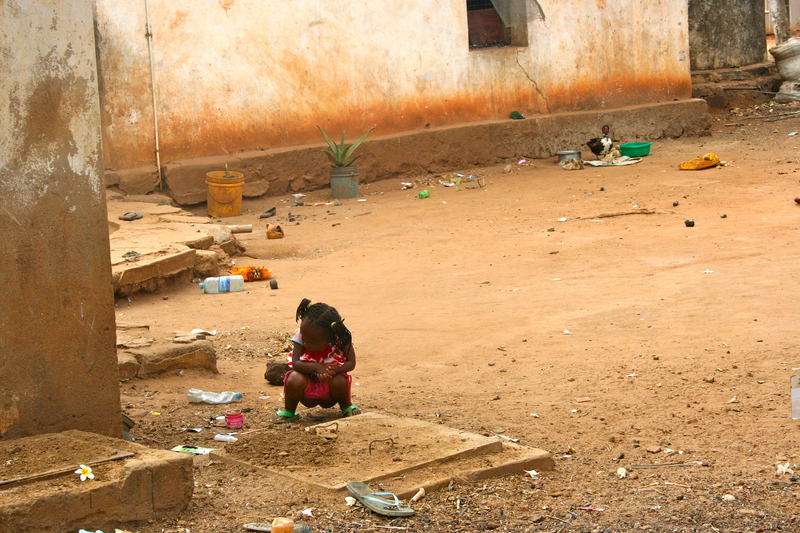 Yes, I am in love with this dirty, dusty, pitiful place. It happened the moment I locked eyes with these children and saw their eager, beautiful, trusting souls. Ana, Imani and Eliza picking me up for choir practice. 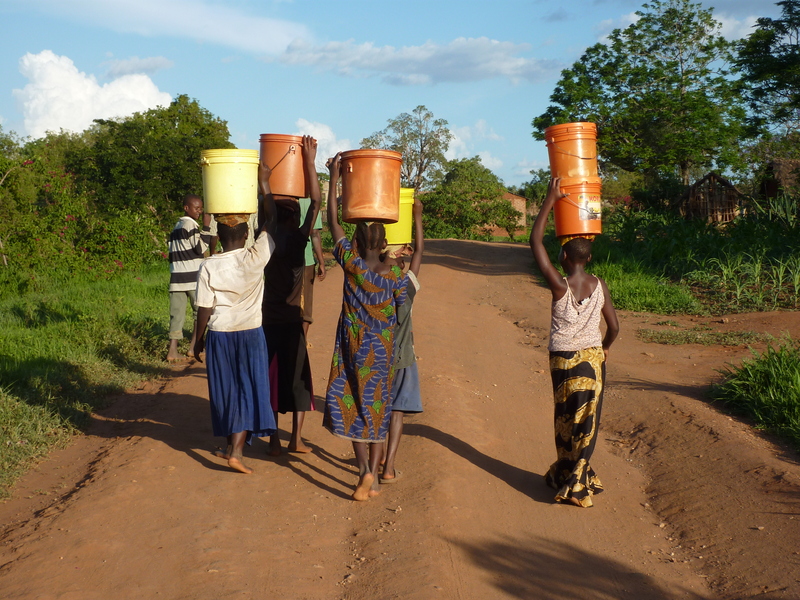 Women and girls carrying heavy buckets on their heads is a common, daily sight. 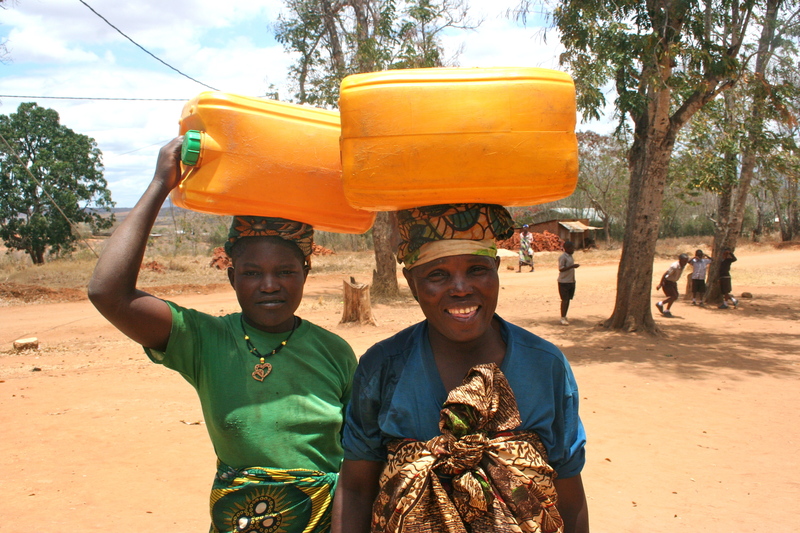 Miriam and her daughter Maria carry water to the school and clean the school “sinks” daily. We have no running water. Every available space is used for instruction. This is the door to Std. 1 & 3. One of the 2 school sinks. 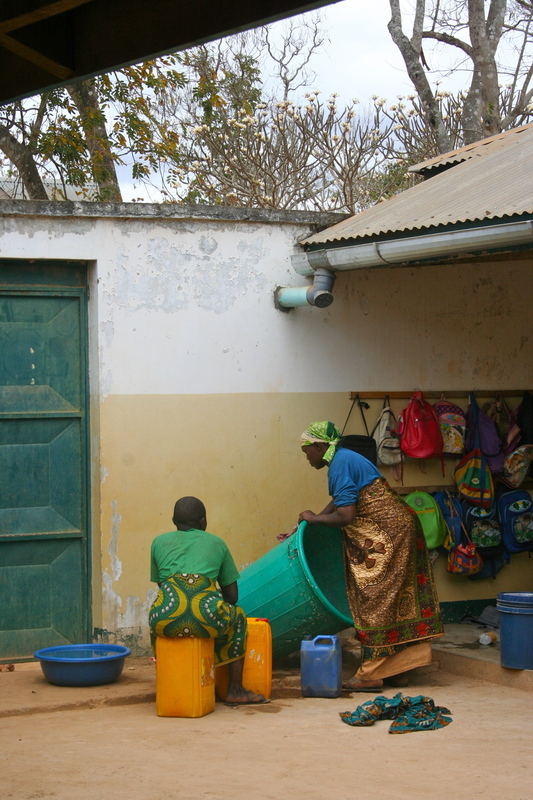 The small bottle on top is filled with soapy water so the kids can wash.
Miriam and Maria bringing more water to top off the school’s daily supply. Vale, Emmanuel (future doctors) and Mbuli (future author?) shooting marbles during break in Beirut. 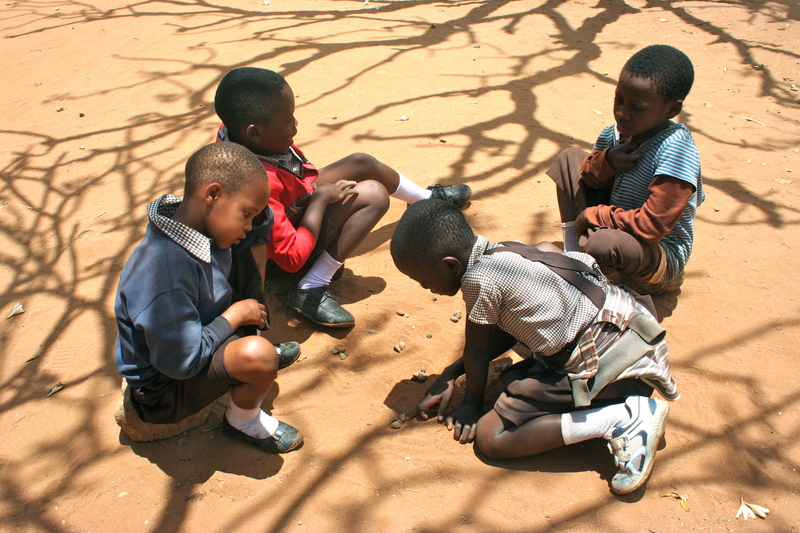 Playing Mancala in the dirt during recess. My Std. 3 class. These guys are fun! 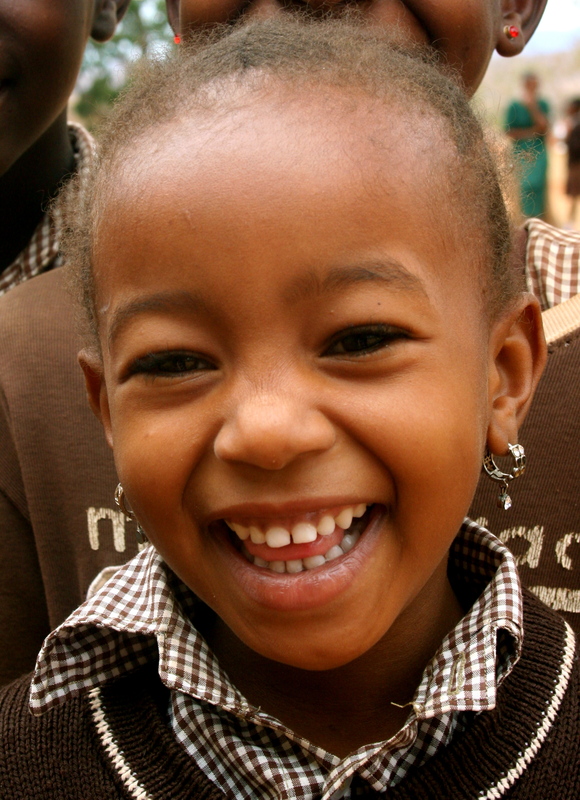 Blandina is the sweetest kid, but she was just a little bit sick of Rehabu taking her stuff. The look on her face could stop a charging elephant. This is Lulu. She is in our youngest Preschool class. I don’t think a kid could be much cuter! This entry was posted in Uncategorized on October 11, 2015 by mytthumbs.